A curious owl inspects a cat who has come to visit his home. 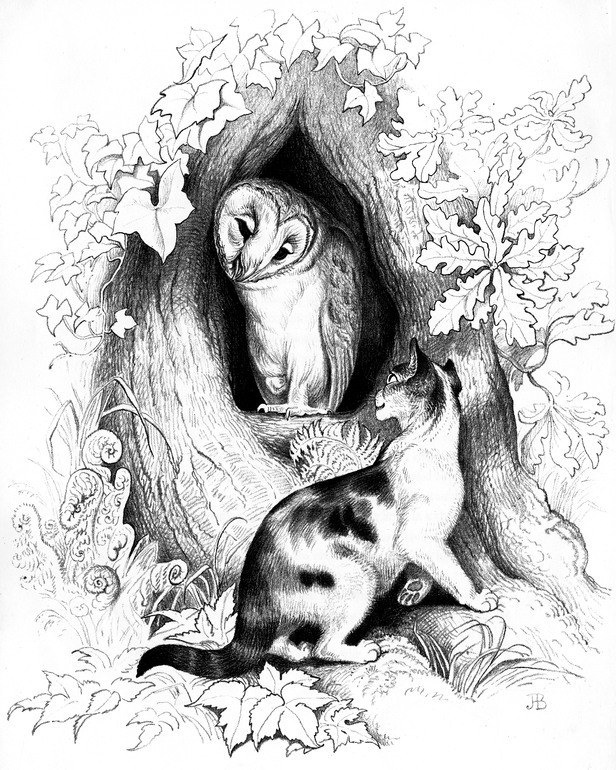 This beautiful black and white owl image by Jemima Blackburn (1823-1909) would be perfect for anyone who needs and image of an owl or an image of a cat. It is from the book The Cat’s Pilgrimage which was released in 1870.